I have left-over candy canes and marshmallows from our holiday hot drinks serving tray. We also received a lot of chocolates from friends so I put them together for another easy peasy candy cane choco-mallows treat. All you need are some left-over candy canes, marshmallows (large is preferable), chocolate. Crush 2-3 candy canes in a plastic bag until you get tiny pieces. Stick whole candy cane in marshmallow. Place on wax paper (flat side down) until set. 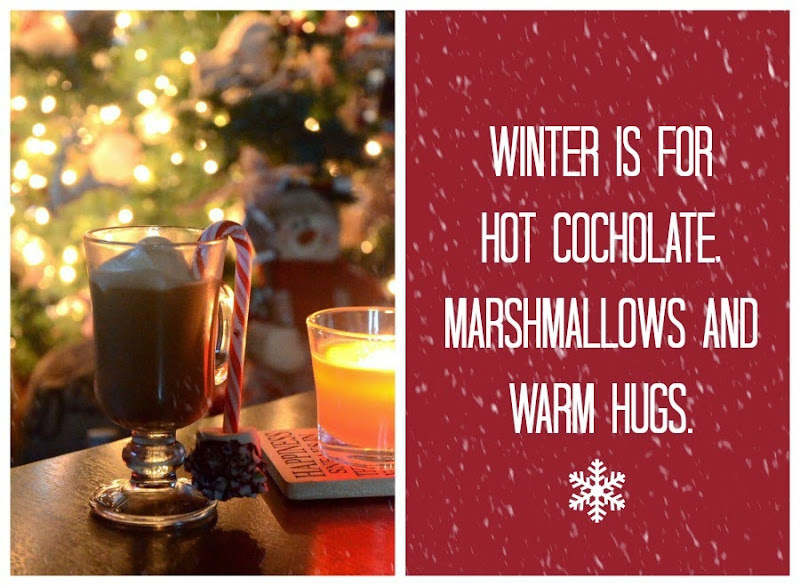 Enjoy them as is or as a topper for your hot chocolate while warming yourselves by the fireplace!